When units with a current Scoutbook account need to renew their subscription this fall, they will not pay any renewal fees effective September 1, 2018. When councils with Scoutbook accounts for their units need to renew these unit subscriptions this fall, they will not pay any renewal fees effective September 1, 2018. Q. What is the new Scoutbook subscription policy? A. Effective January 1, 2019, there will be no cost for any new Scoutbook subscriptions. Effective September 1, 2018, there will be no cost for any renewed Scoutbook subscriptions. Q. If I open a trial subscription today, will it run out in 30 days or will it stay open until the effective date of January 1, 2019? A. A new trial subscription opened between September 1, 2018 and November 30, 2018 will remain as it is currently setup in Scoutbook. It is free for the first 30 days of trial use; then the unit is flagged that the trial has run out and the unit is invited to activate a full paid subscription. If an individual creates a new Scoutbook subscription between December 1, 2018 and December 31, 2018, the trial period would be free for the first 30 days; then the unit is flagged that the trial has run out and the unit is invited to activate a full free subscription—since the effective date of free Scoutbook subscriptions takes place on January 1, 2019. Q. I recently opened and paid for a subscription to Scoutbook. Will I be reimbursed for any time in my subscription that remains after January 1, 2019? A. No. There are no plans to reimburse anyone who has previously paid for a Scoutbook subscription. This change applies only to any new Scoutbook subscriptions effective January 1, 2019 or later—and to any renewing Scoutbook subscriptions that would “normally” be paid between September 1, 2018 and December 31, 2018. Q. I recently opened a trial subscription to Scoutbook between August 1 and 31, 2018. So now that September is here, do I have to pay for my continued subscription to Scoutbook? A. No. You started a trial subscription in August at no cost. You would normally renew that subscription in September at cost, but since there is no cost to renew an existing subscription on or after September 1, 2018, your Scoutbook subscription can be renewed at no cost. Q: How does renewal of Council or Unit Subscriptions expiring between September 1 and December 31, 2018 occur? Does an expiring Council or Unit need to act? A. No. Expiration dates will be monitored, and automatic extension will be enabled. Unit Codes not issued by Councils may be issued and tracked as usual. If more unit codes are required, the Council must request them as needed. Q: How does renewal of Council paid subscriptions that expire in 2019 occur? Is action required? Q. How will the family plan in Scoutbook work in the future? A. The current family plan is for families who want to share their Scout’s advancement records. The family plan is also for families with more than one Scout. Parents, grandparents, and leaders can all connect to the Scout(s) records. The Scout(s) in the family can also have access to their records with their own login account. The cost for this service is $10/year for 2 to 5 Scouts or $20/year for 6 to 10 Scouts. 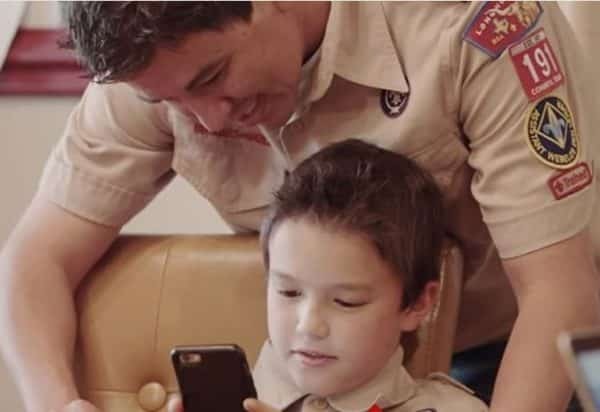 On or after September 1, 2018, any current family plan for Scoutbook can be renewed at no cost. On or after January 1, 2019, any new family plan for Scoutbook can be created at no cost. Q. I need to add a few more Scouts to my family plan in Scoutbook. What is the charge? A. On or after September 1, 2018, any current family plan for Scoutbook can be renewed at no cost. Any current family plan in Scoutbook can also be upgraded at no cost—if you need to add up to 5 more Scouts to your current family plan. Q. As it is the fall and school is beginning, it is now “new member signup” time for my Cub Scout pack. My pack has a 75 Scout subscription with 15 open slots. We expect to recruit well over that number next week on Tuesday night. Will we be able to extend our Scout numbers by that time? A. It sounds like you have a current Scoutbook subscription, so after September 1, 2018, you can renew your subscription (if needed) or add more youth to Scoutbook at no cost. Q. How does this effect Units that have not activated the Sync feature in Scoutbook? Q. My unit had a trial that previously expired. Do I have to wait until January 1, 2019 to begin using Scoutbook again? A. Yes. Scoutbook will be free to all units beginning January 1, 2019. Meantime, please watch the key BSA marketing channels for the release of Scoutbook Lite for all units later in 2018. This free online tool will provide a different UX (user experience) and will help your unit track advancements for all your youth members. Q. What about the term “subscription” and “renewal” for Scoutbook? A. With Scoutbook becoming free for new users beginning January 1, 2019 and free for any current users beginning September 1, 2018, you may see the term “subscription” and “renewal” be used less frequently or not at all. In the future, we expect to just have Scoutbook users actively engaged in this online platform. The need to “subscribe” or “renew” annually will become unnecessary. Q. In the future, what is the renewal process for Scoutbook? A. Scoutbook will be free effective January 1, 2019. Units with a current subscription can renew or add more youth at no cost—effective September 1, 2018. If a unit in Scoutbook is in sync, we expect that the unit in the future will not need to “act” to renew, as there is no reason to end a subscription—due to a payment that is no longer needed. If your unit has a current Scoutbook subscription and is in Sync, expect that you do not need to take any action and that your unit Scoutbook account will stay live on and after your current subscription end date. Q. How does this affect the development and roll-out of Scoutbook Lite? A. This Scoutbook announcement does not affect Scoutbook Lite, which will be rolled out later in 2018 and feature a new UX (user experience). 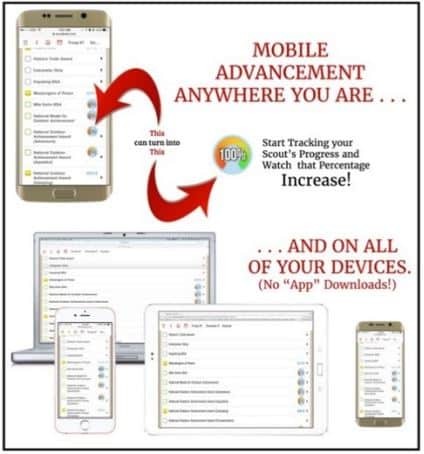 Scoutbook Lite in its initial rollout will feature only advancement reporting. Q. Will Scoutbook performance be negatively affected? A. No. The performance of Scoutbook is not affected by this change. The BSA IT and Member Care teams will continue to support Scoutbook with their timely service and quality resources. Scoutbook performance enhancements have been implemented and performance is continually monitored. The platform that Scoutbook is built upon is very adjustable. If adjustments are needed in the future, they will be brought to bear as needed. Q. Where can I get more information about this change in Scoutbook?